Named for Col. Cornelius Ennis, a railroad official of the Houston and Texas Central Railway, Ennis was established in 1871. 647 acres were purchased by trustees for a land company in 1872 and the townsite was selected in May of that year by. Capt. W. G. Veale. Theo Kosse platted the town. Angry citizens from the bypassed town of Burnham, Texas attacked Ennis - killing one hapless citizen and wounding several others. 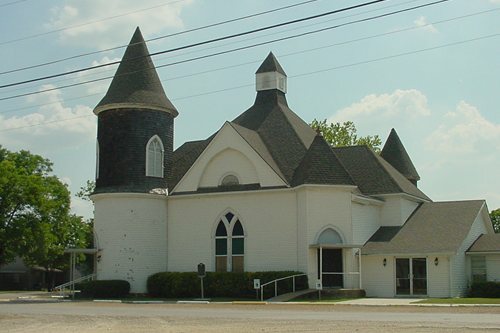 In 1872 a post office was opened and that same year the Cumberland Presbyterian Church (originally in Burnham) moved to Ennis. The Evening Argus was first newspaper (1873) and by 1874 the population was up to 300. By 1890 it had increased tenfold and Ennis had all essential businesses as well as a brickyard and two weekly newspapers - the Local and Saturday Review. 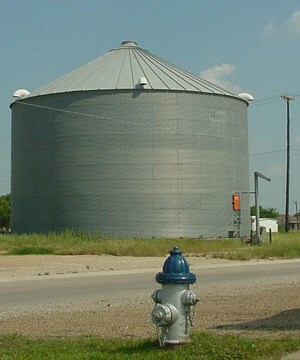 Ennis became the northern division headquarters for the Houston and Texas Central Railroad and the city provided water for the railroad yards and machine shops. The agreement with the city guaranteed that as long as Ennis furnished water, the roundhouse and shops would remain in Ennis. To comply with the agreement, Ennis built three lakes (beginning in 1891). It wasn't until 1940 that the last lake was completed. 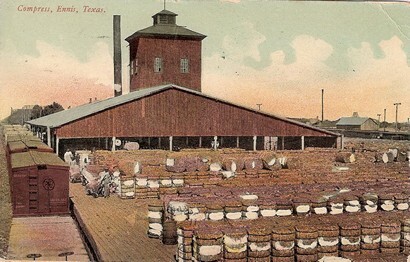 Between 1910 and 1915 the railroad attempted to pull their headquarters from Ennis but the courts held the company to the agreement. 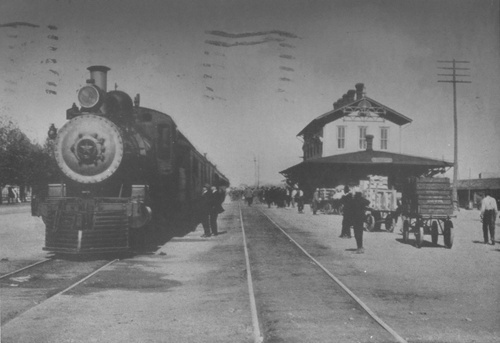 In 1894 the Texas Midland, Ennis' second railroad arrived. 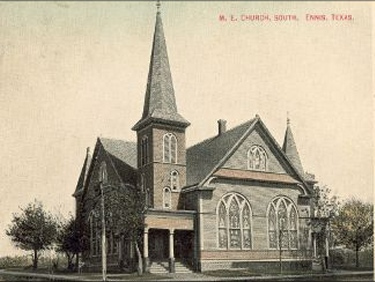 From a population of 6,600 in 1914, Ennis increased slightly to 7,069 by 1930. 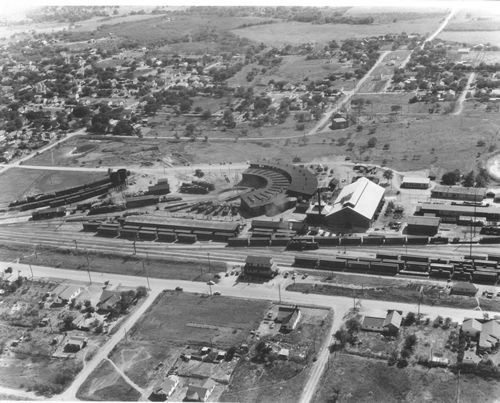 In the mid 1930s the Texas and New Orleans Railroad absorbed both the Texas Midland railroad and the Houston and Texas Central. In 1942 the Texas Midland rails between Ennis and Kaufman, were abandoned due to Trinity River washouts. Left with a single railroad, the line was acquired by the Southern Pacific in 1961. Today, attractions include Lake Bardwell which is a flood control impoundment as well as a recreactional lake. Ennis had a 1970 population of 11,550 which has since increased to over 18,000 in 2010.